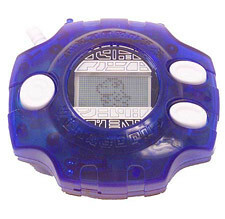 (Digimon Battle Device) it designed based on the story from digimon animation, it different with other digimon device, the digimon can start their adventure when user shake the device and it will walk. Digiivce also can battle with other digimon by linked up together. Digimon,coma and battle man!lolz.A very familiar game for me.The game and the movie attracting lots of people including me last time.But since there are more and more version coming out,make me confused and finally I am not chasing anymore.Anyway,can share why you choose these topic?Just curious.Do come and leave a comment at my blog too ya!See you..